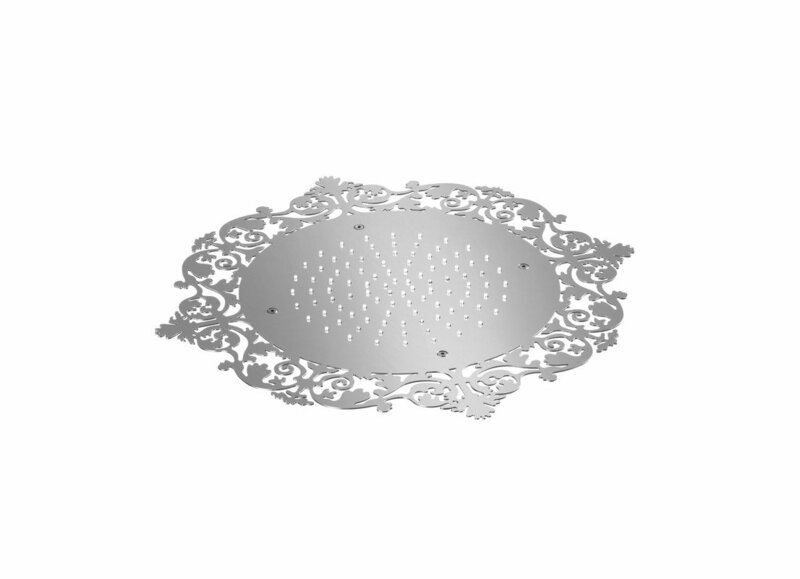 This out-of-this-world shower head will become a centerpiece in your bathroom. 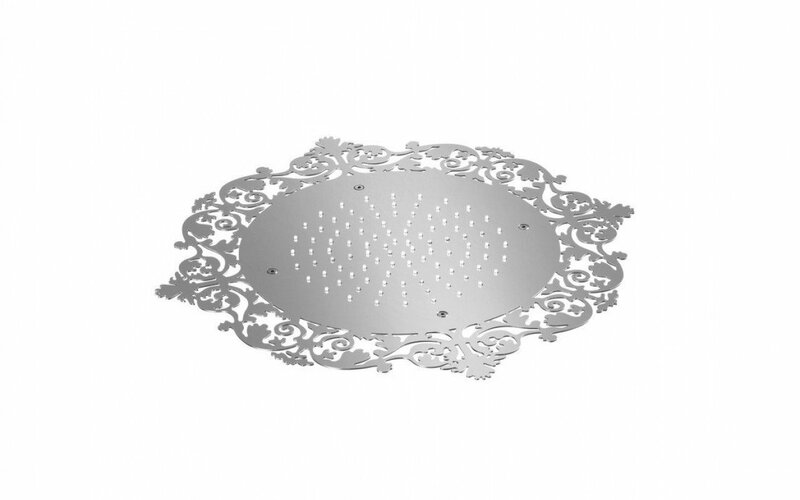 Evocative of the intricate plaster ceilings of bygone days, it combines hard-edged stainless steel functionality at its core, offset unexpectedly by the delicate lace filigree patterned border. A very generous (30.3" (770 mm) in diameter) single piece, flush-mounted showerhead, this Ajour 770 model is graceful and elegant and yet surprisingly modern at the same time. 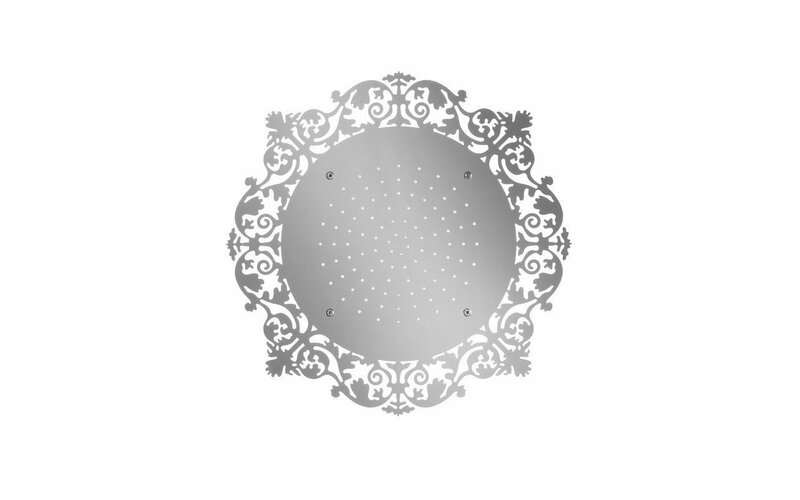 The juxtaposition of the stainless finish and the intricate design provide an alluring contrast that works very well. Shower function is effortlessly met by the large spread, the circular center of the shower with its multiple jets to provide a gentle yet expansive rainfall of water to soothe and pamper the skin, nourish and refresh the body.